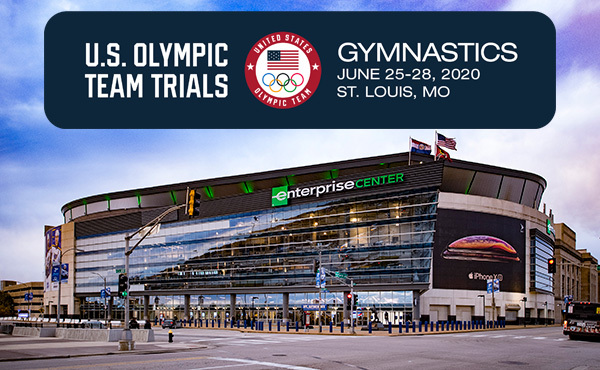 COLORADO SPRINGS, COLO. – August proved to be a great month for gymnastics as the U.S. Olympic Committee (USOC) today named gymnasts Chellsie Memmel and Paul Hamm as the August Athletes of the Month. Following suit, the USOC Team of the Month honor was awarded to the 2003 USA Gymnastics World Championships Team. Memmel (West Allis, Wis.) earned an outstanding six medals, including five gold, in August in Pan American Games and World Championships competition. She started off by winning team, all-around and uneven bars gold, plus balance beam bronze, at the 2003 Pan American Games. Halfway through the Pan Ams, she got the call that she would be added as a second alternate to the Worlds Team. Memmel flew directly to Anaheim, Calif., where teammates’ injuries cast her into the lineup. 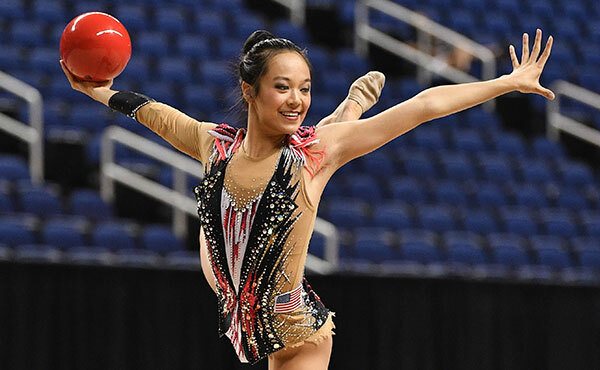 She finished second among all athletes in all-around scoring during team prelims, and first in all-around in team finals, helping the U.S. to its first-ever women’s team gold medal at a World Championships. 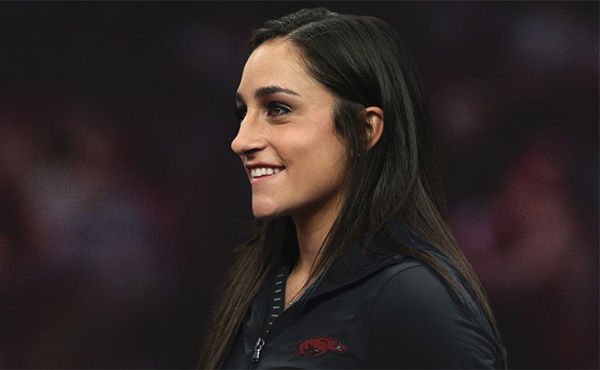 Memmel went on to win a second World Championships gold on the uneven bars, finished sixth on the balance beam and was eighth in the all-around. On the men’s side, Paul Hamm (Waukesha, Wis.) made his mark in the history books by becoming the first U.S. man to earn the World Championships all-around gold medal, and the first U.S. male to medal in the event since 1979. In addition, Hamm won the floor exercise gold medal (again, the first since 1979), and helped the U.S. men to a silver team medal. 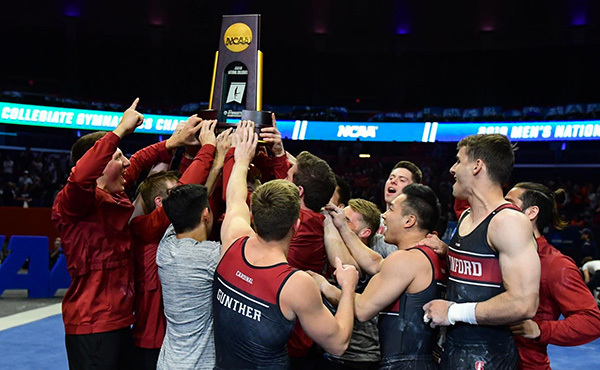 Based on its historic victories, the USA Gymnastics World Championships Team was selected as the August Team of the Month. In addition to becoming the first-ever U.S. women’s team gold medalists at a World Championships by outscoring perennial favorites Russia, Romania and China, the ladies – who dubbed themselves “The Five Left Standing” – won two additional gold medals and one silver in individual events. Carly Patterson (Baton Rouge, La.) turned in an all-around silver performance and Hollie Vise (Dallas, Texas) and Memmel tied for gold on the uneven bars. 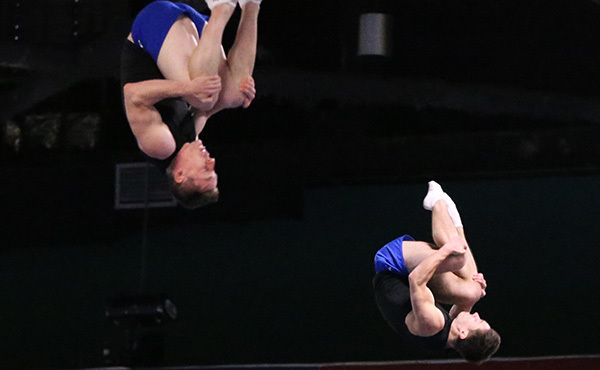 Meanwhile, the U.S. men captured team silver, capped by Hamm’s historic all-around and floor exercise performances. Together, the USA earned its highest-ever gold medal count at a World Championships, and highest medal total (7) since 1979. Softball standout Cat Osterman (Houston, Texas) was the runner-up among the female candidates. The left-handed pitcher tossed a perfect game during the Pan American gold medal match-up, lifting the U.S. Women’s National Team to its fifth consecutive Pan American Games title. She started the tournament by pitching a one-hitter in the USA’s 2-0 victory against Venezuela, fanning 13 of the 22 batters she faced. Osterman’s next appearance was the gold medal game against Canada, where she dominated the circle, recording a perfect game and 14 strikeouts, leading the U.S. to a 4-0 win and the title. Third in the voting among the women was Ericka Lorenz (San Diego, Calif.), who led the U.S. women’s water polo team to the gold medal at the Pan American Games, qualifying the USA for the 2004 Olympic Games. She shot 12-22 (55%) on the week and posted a team-best 12 goals, including two in the 7-4 gold medal victory over Canada. Lorenz opened the tournament in grand fashion, scoring four goals against Puerto Rico and went on to score three goals the next night against Brazil. She scored a goal in five of six games at the Pan Ams. Finishing second among the men nominated was Jason Estrada (Providence, R.I.). Estrada became the first U.S. boxer to win a super heavyweight Pan American Games gold medal. He dominated all of his competition at the event, winning 20-2 over Arthur Ontanez of the Dominican Republic, then went on to win 26-8 over Sebastian Ignacio Ceballo of Argentina to advance to the finals. Estrada defeated Michael Lopex Nunex of Cuba, 14-6, in the championship bout to win the only gold medal for the U.S. boxing team. Water Polo’s Tony Azevedo (Long Beach, Calif.) was third in voting on the men’s ballot based on his prolific performances at the Pan American Games and the FINA World League Super Final. At the Pan Ams, Azevedo scored a tournament-high 33 goals in nine games played. He shot 33-62 (53%) on the week, scored four goals or better in six of nine games, and registered five-goal performances in three consecutive games. Azevedo finished as the highest scorer in the 2003 FINA World League with 12 goals, including six in three games at the Super Final, and had a game-high three goals in the bronze medal-match against Serbia and Montenegro. Earning second place among the Team of the Month candidates was the USA Softball Women’s National Team. The squad continued to demonstrate why it has held the No. 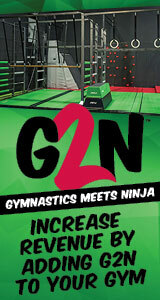 1 ranking in the world for 17 consecutive years, capturing its fifth consecutive Pan American gold medal. The women extended their Pan Am win streak to 51 and now possess six of seven possible Pan Am gold medals. 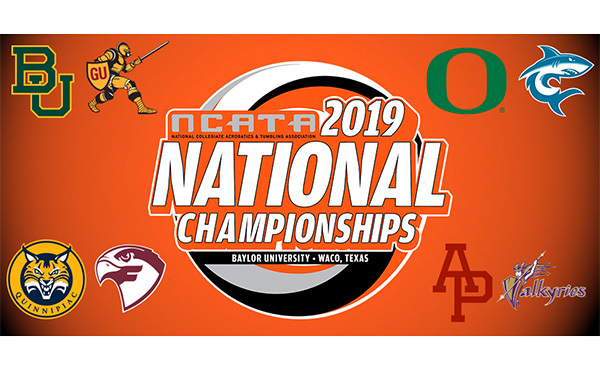 They dominated their competition during the Pan Ams, outscoring their opponents 59-1, and combined for a .361 batting average to their opponents’ .060, collected 83 hits, and allowed just one run while combining for a 9-0 record. Finishing in third place for August was the U.S. Men’s Water Polo Team. They capped off a remarkable 52-day international road trip by winning gold at the Pan American Games to qualify for the 2004 Olympic Games. At the Pan Ams, the U.S. dominated the field of eight, outscoring opponents 144-33 on the week. The +111 goal difference was higher than second-place Brazil’s entire offensive output (102 goals). The U.S. defeated Brazil, 13-7, in the final to capture gold. Following the Pan Ams, the U.S. took third place at the 2003 FINA World League Super Final in New York. The U.S. lost a narrow 6-5 decision to Olympic and World champion Hungary in the semifinals, but came back to top Serbia and Montenegro for the bronze medal.